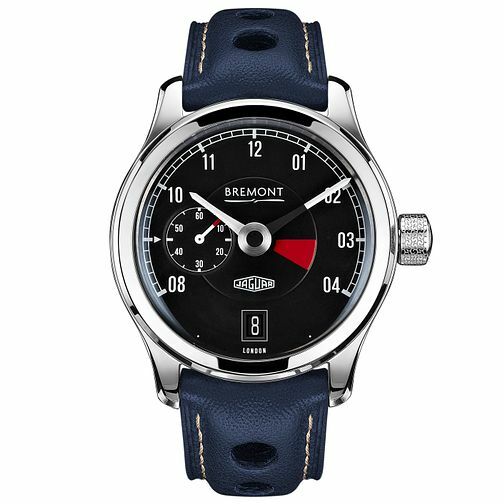 The Bremont Jaguar collection celebrates the partnership between Bremont and the Jaguar E-Type. The MKI model is crafted from stainless steel, with a date window, small seconds sub-dial, with a tachometre inspired dial. Powered by Bremont BWC/01-10 33.4mm Automatic movement. Set on a perforated leather strap.